Welcome to the Sweetedge Website. This is where you'll find information about our activities – please keep checking back because it will change as we add more to it. Our next gig is at the Propaganda Music Canteen in Fleet on the 9th of March supporting Pete Du Pon. We'll be playing a short set at the Wychwood and Friends night at The Horns, Crondall, Surrey on the 17th of March 2011. On the 14th of April we will be back at The Horns, Crondall, Surrey but this time we'll be playing a long set with a couple of new songs and also welcoming a very special guest. Our EP, 'Flights From A Forbidden Forest' is now out. Since we left our studio at Empire House at Christmas 2007, we had to find somewhere else to record it. We ended up spending a pleasant few days up at Woodworm Studios in rural Oxfordshire with owner/engineer Steve Hill. The studio is a converted chapel with all sorts of different spaces to record in and is probably better known as the home of Fairport Convention for many years. The EP is available from the band at gigs or via email and also from CD Baby, Amazon, iTunes and many other download stores. Our first album 'Eucalyptus Sun' is available online through CD Baby and also from a number of download sites including and Amazon (see samples page). Our second release, the Blue Conversation EP is also available from us at gigs or, again, from CD Baby. Unconventional, haunting, sophisticated and uplifting are just a few of the words that have been used to describe Della Perrett’s powerful voice. She fuses folk, blues, jazz, country and rock influences into something that is totally her own. Her songs are both political and personal,sometimes sweet but at other times sharp and thought provoking. Her substantial experience playing tenor sax with bands like Colonel Mustard, Burnt Ice and Rhythm Collision shapes her vocal style as it twists and soars from dark to light. She is joined by her husband James Perrett, who was drumming in the funk/reggae/jazz fusion band Rhythm Collision when he first met Della. James first realised he wanted to play drums when he saw Cozy Powell on Top of the Pops at the age of 11. He has since played with a whole host of bands and musicians like Guildford's 100% Polyester, Captain Pike and the Crucials and the ska sound of Bananafish. He also ran Watershed Studios in Portsmouth for over 10 years. The lineup is completed by Matt Tween on bass. 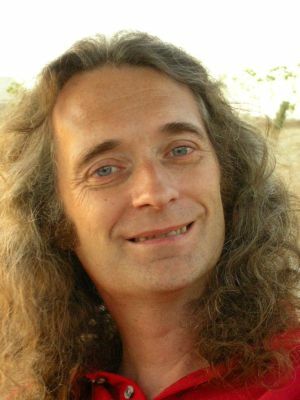 Since 12, Matt had been a guitarist with various bands and duets. Then, asked to play bass until one band found a real bassist, he agreed to join and now, over a decade later, he has made bass his main instrument. 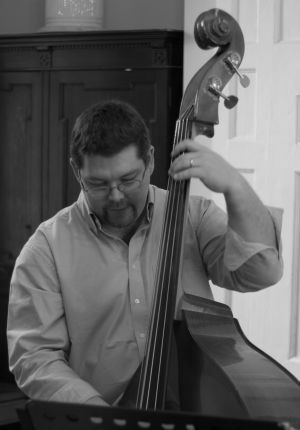 He attended Chichester Jazz College after taking a fancy to double bass, and has become a permanent feature on the regular jazz circuit as well as continuing with his bass origins in Carbon Skyline. Sweetedge have won an award as a finalist in the News Guide Awards in the folk and roots category, November 2007. There’s also an older biography and a gig history here. Contact : della@sweetedge.com , telephone 01962 735436 or 07900 320399.